I am around tonight but have a friend over to help me chill out a bit. I will post if needed, if not, see you tomorrow. If you want to review the action today, go to TSN, Sportsnet or check out KK. Thanks to all for visiting KK and your continued support. Great work today Paul. Really appreciate the efforts! Thanks petesrw, words like yours motivate me. Thanks for your once again outstanding coverage today. I usually mix that with some concentrated lemon juice, honey, and boiling water. Really works well to ward off a chill. Good medicine as my great aunt who lived to 99 used to prescribe. Ah, the classic hot toddy, cn. Tonight, it is on the rocks with a lime twist. Outstanding work on getting the updates today, Boss. Relax. Crowne Royale. Well.Deserved. I loved the link you provided, one stop shopping for this day. 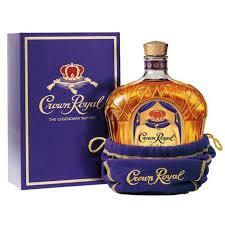 And a Crown Royal Cheers to the King of Kukla’s Korner.